Being a massive massive Saben fan, I was over the moon to be given the opportunity to style 3 of their gorgeous items, two hand bags and one clutch. And boy, did I want to keep them all! Saben bags each have their own unique personality, yet all are contemporary, stylish and playful. First up we have Tilly. A rad little clutch that surprisingly fits a lot. This little beauty will see you through from day to night. 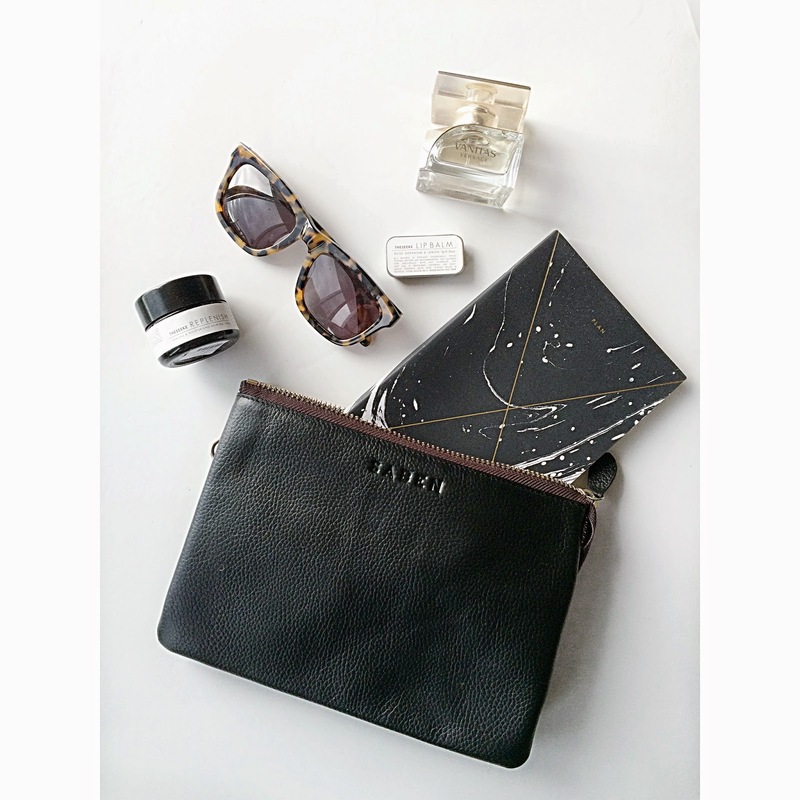 Included in this image is the Julia Kostreva planner and THESEEKE products all from Father Rabbit. Perfume and Karen Walker sunnies belong to moi! Next we have the amazing Yasmin. Sleek, sophisticated and hard working. 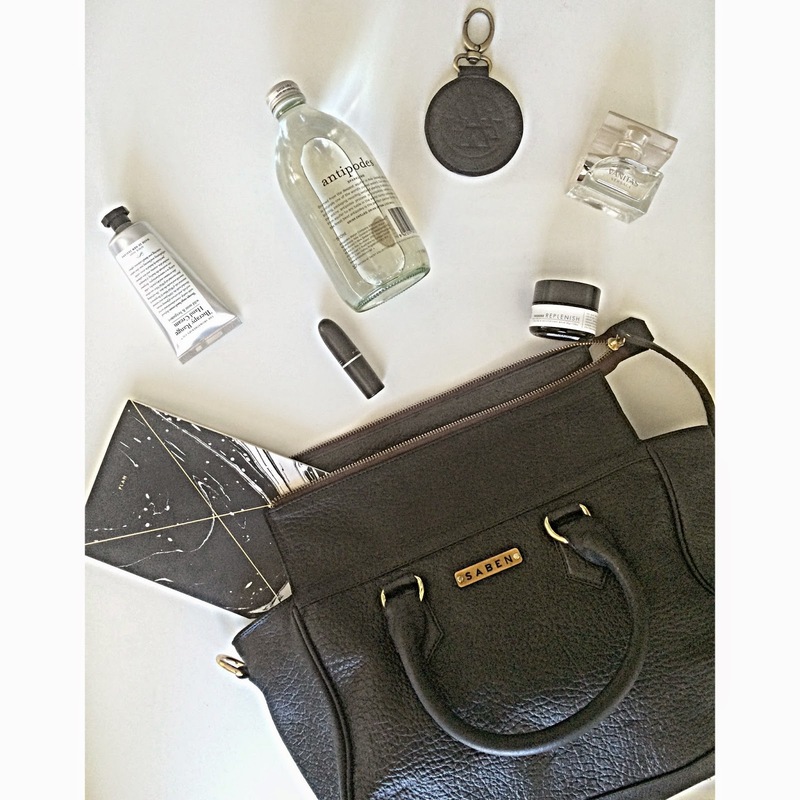 A fantastic day to day bag to carry everything that you possibly need to get through your busy day. Included in this image, Wilson and Frenchy bib, Julia Kostreva planner, Barr Co handcream, Bensimon sneakers all from Father Rabbit and sneak peek of a new range of Milo and Mitzy jewellery. And lastly we have Lotte. Lotte is that smaller version of the every day bag, claiming to unwind and enjoy a pimms or two on a Friday evening, Lotte boasts all of the inner compartments that one needs to carry the Friday night essentials in. Included in this image is the Saben key ring, Julia Kostreva planner from Father Rabbit and everything else is my own. Thank you so much to Saben for the opportunity. I already own one Saben bag, something tells me I need another.